Take exit 16 from I-87. Go North on US-6 for about 2.5 miles. Turn North on SR-293 and go another 5.5 miles. Turn left on Round Pond Rd. to campground. 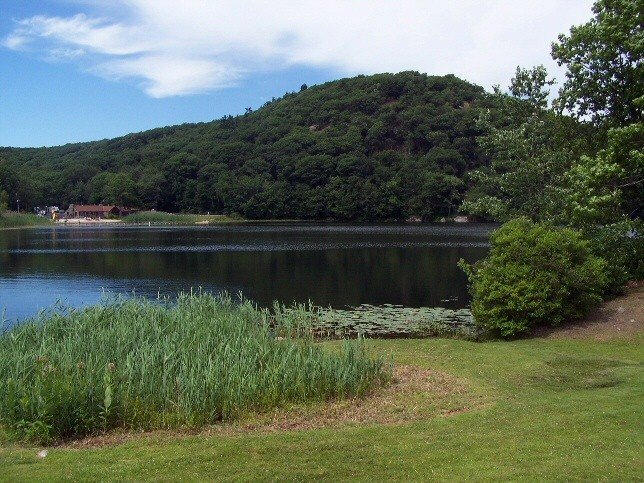 ---- Address for GPS is: 1348 Round Pond Road, West Point, NY 10996 ---- Steep grade to get to the campground. You may wish to unhook your "toad" first. Active, National Guard, Reservists, Retired, 100% DAV. DoD Civilians, cadets/parents. Apr 1 - Oct 30. Active Duty may make reservations starting the day after Martin Luther King Jr. holiday. All other categories may make reservation the day after President's Day. Internet access is available on base. Marginal Verizon broadband, but strong with amplifier and external antenna. Low AT&T cell signal with no data service. Dump station available. Higher rates are for holidays and Army football weekends. Honey Wagon service is available Mon and Fri, $8. Dump available. 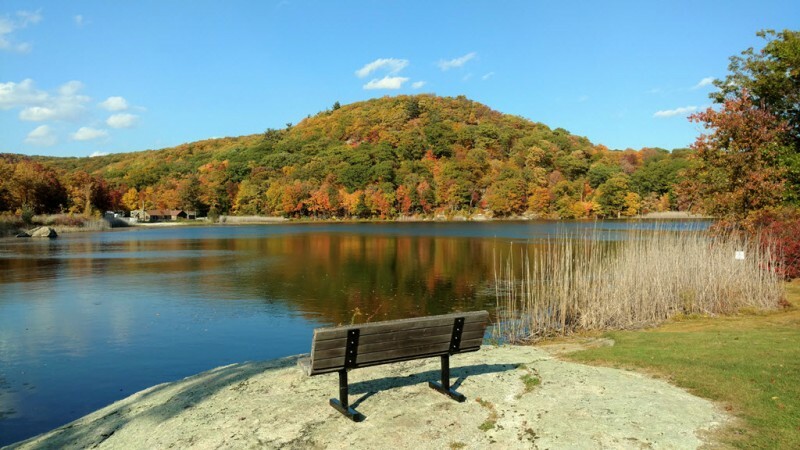 The Round Pond Recreation area is located in a rocky, woody area, just three miles from the United States Military Academy. 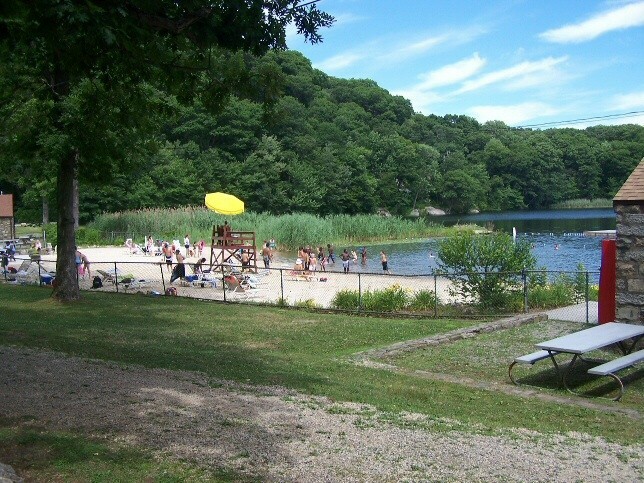 Round Pond is a clear mountaintop lake surrounded by a beach, playgrounds, picnic areas and campsites. The lake has lifeguards on duty at the swimming beach during the summer months. 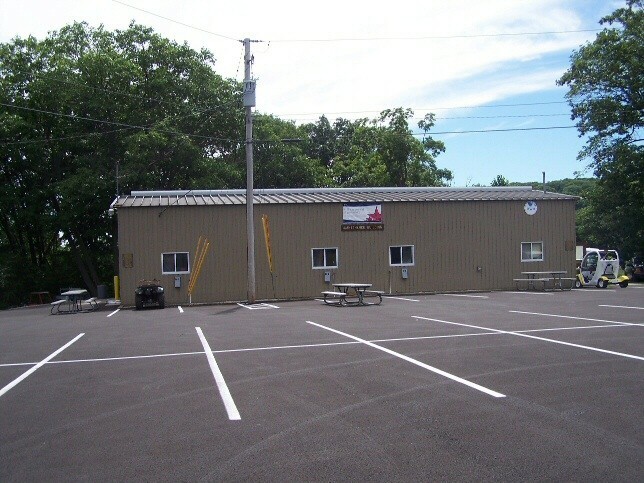 The Outdoor Equipment Resource Center, located behind the Round Pond Office and Bait Shop, has camping equipment, boats & trailers, party canopies and various sports equipment for rent. 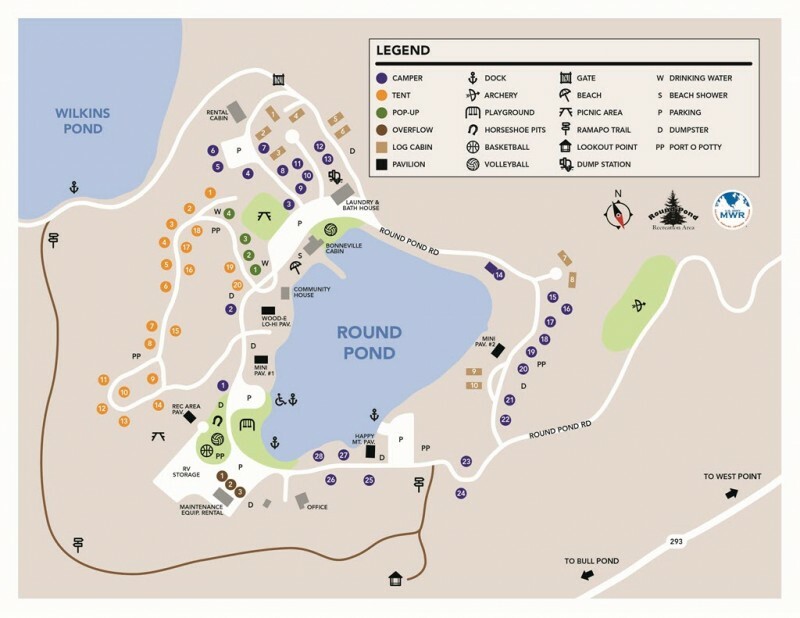 West Point fishing passes, as well as power boat passes for Stillwell and Popolopen Lake, are available at the Round Pond Office. The office also serves as the fishing boat control point. 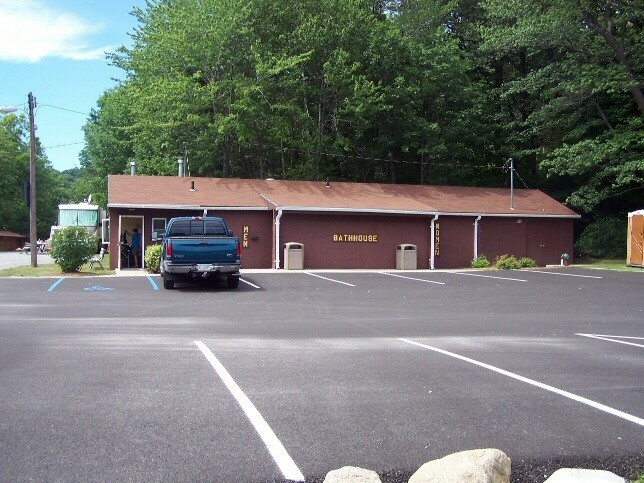 Volleyball courts, Basketball court, Bait & Tackle store, Outdoor Equipment Rental Center. 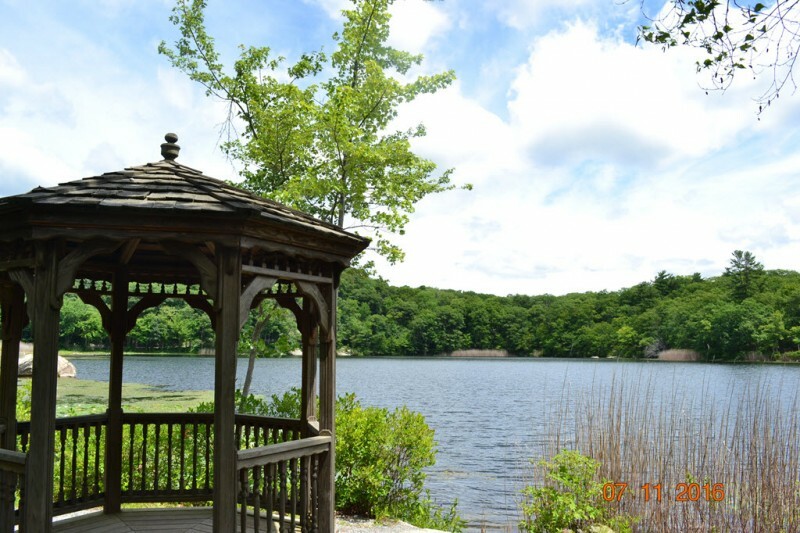 The Round Pond Recreation area is located in a rocky, woody area, just three miles from the United States Military Academy. 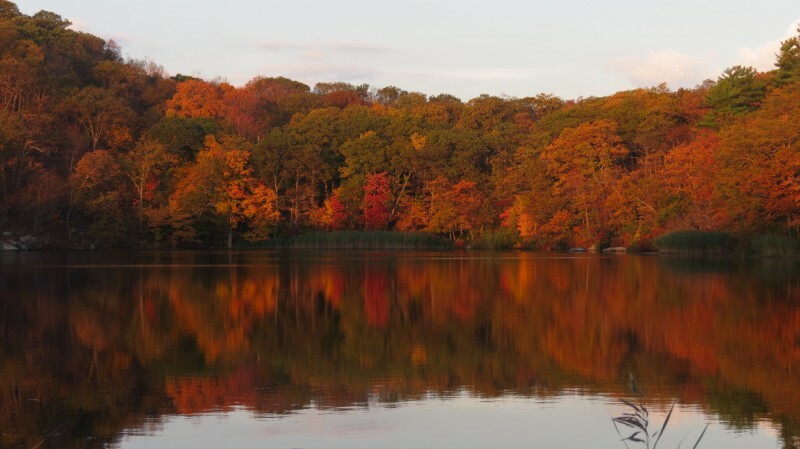 Round Pond is a clear mountaintop lake surrounded by a beach, playgrounds, picnic areas and campsites. 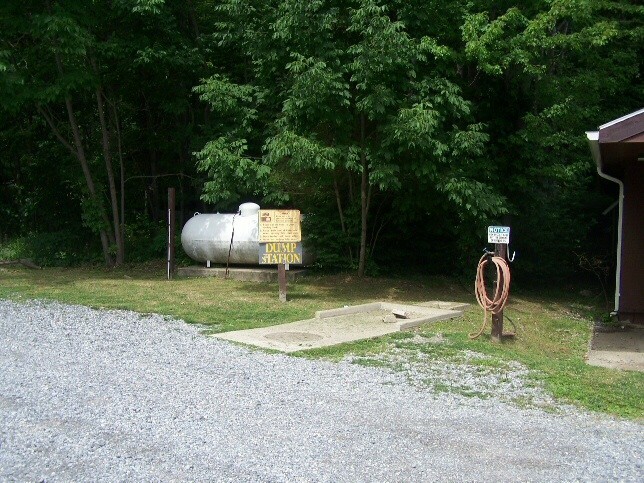 The Outdoor Equipment Resource Center, located behind the Round Pond Office and Bait Shop, has camping equipment, boats & trailers, party canopies and various sports equipment for rent. West Point fishing passes, as well as power boat passes for Stillwell and Popolopen Lake, are available at the Round Pond Office. The office also serves as the fishing boat control point. This place is adequate. The drive to the office from the main road is a bit scary and they need to trim trees so rigs our size don't scrape. The ladies at the front desk in the Office were exceptional. Very helpful with information and friendly. We camped in the same area we did last time near the laundry and shower. We were able to get satellite TV access for which we were thankful. The site was underwater and not level. After it dried out it was OK. Looks as if there have been some attempts at fixing things, they just need to finish and do it right. The laundry room and bath houses need to be scrubbed har, steam cleaned and repainted. The new washer and dryer coin box was broken and had to be jerry-rigged to work. There is talk to cement slabs there which would be nice, if they are level. Having said all that, it is still convenient and a place we would visit again. We camped in a motor home. It is important for new comers to understand that entrance to this campground is very steep. If your vehicle is having difficulty with brakes, transmission, or other mechanical issue....don't do it. This place earns a 5 star for location; however, the sites were designed for 20' travel trailers. That being said, the sites are not well organized or standardized and definitely not very level. You never know which side the power pedestal and water hookup will be located. When it rains, puddles are everywhere because of the lack of even gravel. The laundry room and showers were dirty and didn't appear to be truly cleaned for months. And since there is no sewer hookup at the sites, you are forced to use the facilities. No WiFi and cell service is spotty which is common for the area. If I were the Commander of USAG West Pont and the USMA, I would almost be embarrassed that this place is associated with the school that produces some of the finest engineers in the world. Very nice park. Sites are on the rough side, we had to use a lot of blocks to get our rig level and there is no sewer hook up. However, the dump station is very convenient. We had no WiFi or cell phone coverage so you get to enjoy unspoiled nature. Didn't use the lake or facilities so can't comment on them. We were in a 28' Class A motorhome. Nice park. Beware of the road off 293 that goes up to the actual park. I'm from the Blue Ridge Mountains of western North Carolina and a windy road to me is different than a windy road to most other people. This road is windy in anybody's book. It climbs at a pretty steep grade and has some tight turns. Now, this isn't meant to scare anyone off because it is absolutely doable. You just need to be aware of it and stay in a low gear. We are a 40' fiver with a beast of a dually truck so about 60' total and we didn't have a problem. Now, about the park. It is laid out around a pond. It is pretty and laid out in such a way that there is plenty of elbow room for each RV. No crowding. It is quiet and some shady sites and some open spots. I have almost no problem with park at all except 2 things: lack of sewer hook up. (I'm spoiled and like my full hookup). There is a honey wagon that comes around each day and for $8 he will pump you out. Water & electric were fine. And we had almost no cell signal for hotspot, but we could make phone calls - go figure. We wouldn't hesitate to go back. Round Pond campground has gone completely downhill. Bathhouse, restrooms and showers were dirty & moldy. Lake is scummy & unclean! (Overgrown with weeds, pond scum, etc.) Entire experience has been a steady decline that we have noticed over the past several years. Mgmt & staff have changed and not for the better. Experience level is down, attitudes are up. 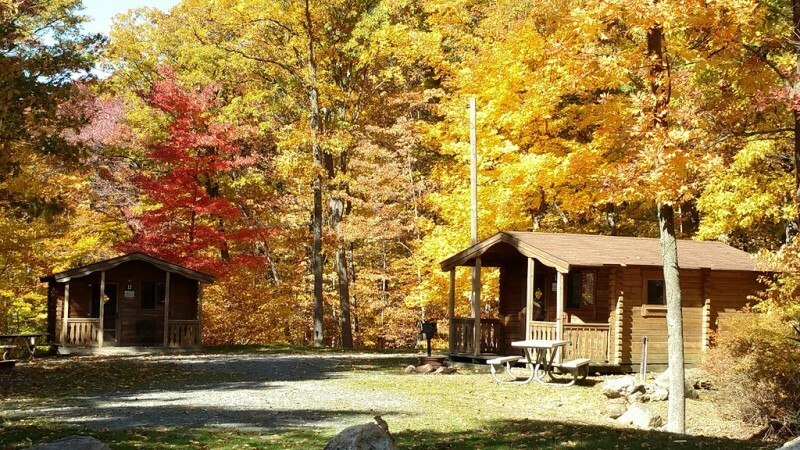 New reservation system no longer allows you to reserve a specific campsite. Why would you bother reserving then? Our family has camped here for many years and are now considering going elsewhere. We stayed in Site C11. It requires backing in from the access road, and we had no problem with our 39f t 5th wheel. We had access to our Dish Satellite (portable), but Verizon MIFI was iffy. The park is wooded and well maintained. Restrooms were clean until 3 large family groups (lots of kids) arrived at the beach, then TP and hand towels on the floor. The commissary and PX were 10 minutes away. It's longer if you want to go to a Wal-Mart or Homedepot (you have to return to US6/I-87). We toured the Post and Museum, and just missed the warrior games. We took the train to NYC from the Peekskill Station (Take a roll of quarters, parking is metered and it's $0.75 per hour, 12 hour max) to Grand Central Terminal, then subway down to the 9-11 memorial and wall street. Also took the Sloop cruise around the Harbor - well worth the cost. Boating, Fishing and Swimming beach made this a very comfortable "down week" during our swing into New England. TRAVEL NOTE: There are two Bridges less than 13 ft high that do not show up on AllStays low clearance on 9W and County road 9 northbound. DO NOT TAKE YOUR RV ON THIS ROUTE. Back track to 6/17/I-87 to leave the area. We did not stay here, but I wanted to give a shout out to the staff, who I called and was desperate for a site as my daughter was graduating college. They had a spot and would get us in, Information on prices , directions and ammenities were all clear and concise, low and behold, our daughters driveway fit us and we didn't need to stay there, they were still polite as we cancelled our reservation...can't wait to go back and use facilities..
Not all sites are “big rig (or satellite) friendly”, but we found this to be a really nice campground. 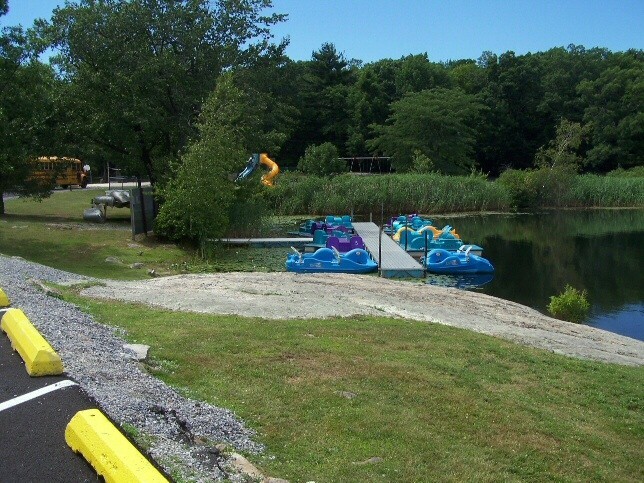 There are many amenities, including fishing, swimming, paddle boat and canoe rental. Note that sites are water and electric - no sewer - although there is a dump station, as well as honey-wagon service twice weekly. This campground does not offer WiFi -- we went to Starbucks to satisfy our Internet cravings. This was our first visit to the USMA and we thoroughly enjoyed this peaceful campground. Facility is well run. Bathhouse was clean and seemed well maintained. Spent 4 days. Convenient to commissary and PX. Staff was very helpful. Electrical connection need work but, it is early in the season and am sure this will improve. Wish we had WIFI connection but, was relaxing without it. Got good connection at the PX for our requirements. Over all a great place to stay. I was apprehensive about the road into the facility after reading other reviews. People stating it was steep with a couple of switchbacks. They were right. I looked at the satellite view of goggle maps and determined it to be doable with our 43' 5th wheel. Thankfully we did not encounter any on-coming traffic. 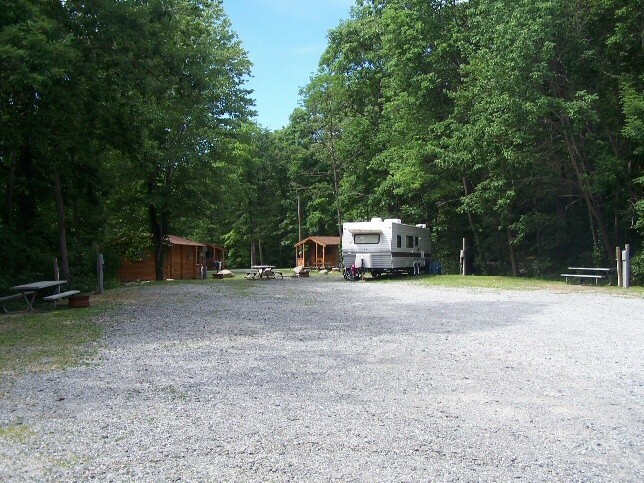 The camp has a very nice wooded setting which we enjoyed very much. We took advantage of the Leisure Travel office on Post and signed up for a trip into NYC Theater District. "John" was very informative during the 1hr+ ride into town. Dropped us off at the "Discount Ticket Booth" in Times Square, then picked us up after the performance later that night. Getting to NYC by train is the way to go. It is a bit of a drive to get to the train station and parking can be an issue. We opted for the Croton-Harmon Station as it had more parking available. We would have liked to stay longer however, Army was playing Duke that weekend and the park was sold out. Things got a bit noisy as the weekend approached. One of the other sites became "Party Central" and the music was a little loud, but not too bad. We were in site C13 right at the RV dump which was very convenient upon departure. Access to sites 10-11-12 can be a bit tricky if 9 and 13 are occupied. A great place to stay and would do so again. We've never been to this part of the country before. This site was in a great location to see both the academy and the local area. We found it a bit tedious to have to go around the lake each time we came and went but it wasn't a real issue. Good hook ups. Convenient to the base and BX/commissary facilities. The facilities were a bit old but were functional. I agree with the comment about having to go around the lake to use the dump station as we left but it only added a few minutes to the trip out. Overall we really enjoyed this area and will return if in the vicinity. Have to agree with belique and Sizzor, great place to chill out and get close to nature while at same time having easy access to NYC. Was stationed at West Point in late 90's and didn't realize this place even existed. True, no wifi, so what?? Showers could use some updating, no water pressure and shower heads clogged up. Stayed on C7 with 36' tag along, no problem, nice large site. Only issue was the dump station, had to make the entire loop on the way out, then back into the dump station. Will stay again if in the area. Electrical hookup was 20/50 amp, no 30, if you had 30 amp you would need a pigtail adapter, which the campground office sold. Sties had picnic table, freestanding charcoal grill, fire ring, and water hookup. There was a camp store and a dump station as well as a laundrymat. The laundry was closed for the entire time we were there. Our site was #9, close to the bathroom but right across from the dump station, about a hundred feet. The site was right by a dirt path/road which was heavily traveled causing lots of dust and noise throughout the day and evening. The bathrooms were OK but quite outdated and not well maintained and water pressure was not real good. No WIFI or cable but with the ant. we had about 28 channels come in pretty good. There was a beach on the lake but the goose feces covered most of it. Enforcement of rules were slack, checkout times not followed, quiet hours not observed. If in need of diesel, it was much cheaper in New Jersey than New York. Overall not a bad campground but they do need to enforce rules for the benefit of all. First stop on two week trip to New York and Maryland. 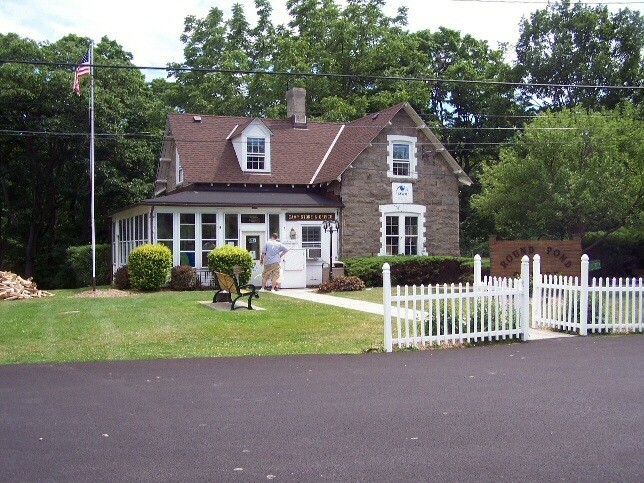 Great location, 1 mile to West Point golf course and 2 to US Military Academy. We arrived two weeks prior to closing of park for the winter, therefore it was very quite. Stayed in site C2. We tow a 25 foot airstream. Trailer sites are not big but adequate. Class A site is small parking lot near rest rooms. Tents and popup sites are in the woods and some of the nicest. Rest room, laundry centrally located. This is a very small park, you can walk around the loop in 15 minutes. Academy is a must see, museum, Thayer hotel, as well. Tarrytown and Sleepy Hollow 20 minute drive, NYC 1 hour. We would stay here again. Next stop Naval Academy-Annapolis. 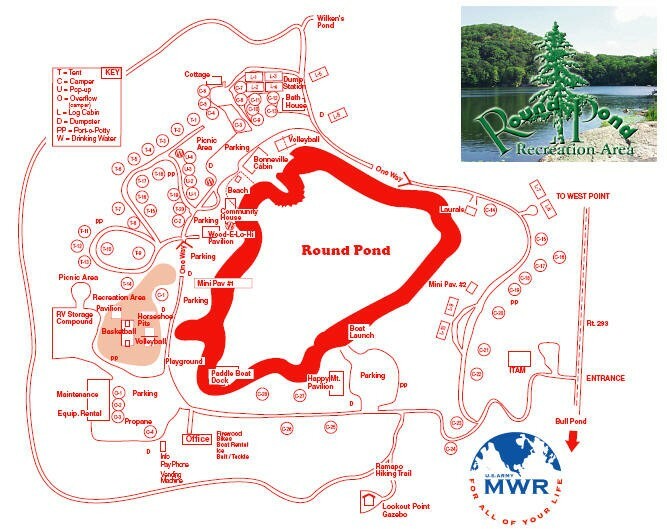 Directions - If you are visiting Round Pond with a 5th wheel, use the directions above. We came in from the east and decided to take US 9W south to CR 293. Our 5th wheel is 12’ 11” and a bridge over 9W (at Angola Road) is 12’ 10” so we took a quick exit onto Quaker Ave and I turned right into a 12’ 9” bridge (on my side). I took the other lane and made it under the bridge. I called the office for some directions and got no help (someone in the office had told me 9W should be a good drive). I used my GPS and took CR 9 north to NY 218 south that took us to 9W below the bridge. NY 218 is a two lane narrow road with many curves and hills packed into about five miles. NY 218 offers some beautiful views of the Hudson River but not made for large RV traffic. It was closed the next day from one inch of rain. Campground - The campground is mostly wooded and we had problems using our modem for computers and cell phone. I was able to get DirecTV from site C-11. Most sites would not be able to use satellite TV due to trees. There is noise from the artillery but we did not find it a problem. The Round Pond Road is only 1/2 mile but uphill with many tight curves. The park is very picturesque and well-kept. Seeing West Point was worth the trip. Wonderful setting great staff loved the experience I found the price to be affordable my wife and step-children first time and my own kids came and they also enjoy very much and I myself it's been about 25yrs since I been camping, no cell reception and life jacket could get replace for new ones, and a pool would have been great for Round Pond to have. Above all the amenities they have such as Canoes and paddle, motor boat, basketball court, volleyball court. Great place will recommend to other. 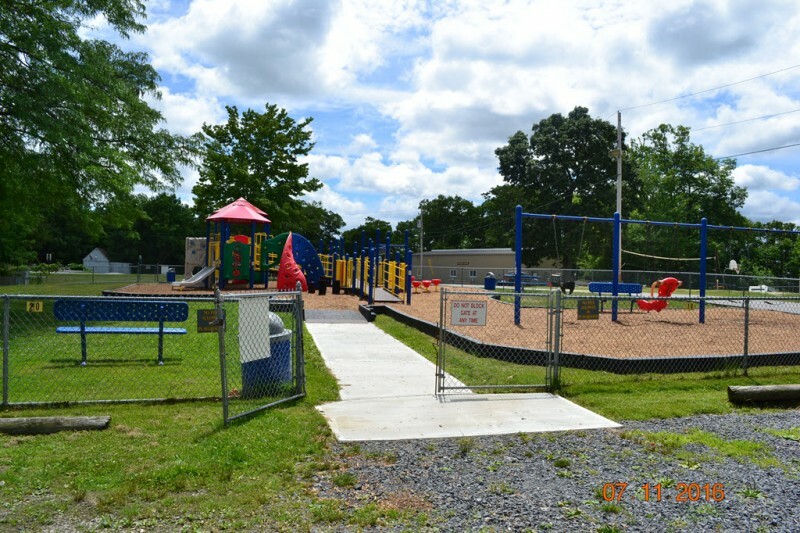 Wonderful setting and great amenities for those with kids wanting activity. Good playground, paddle boats, canoes, etc. The swimming area needs attention since it is becoming overgrown with water plants and the swim platform needs attention. Our granddaughter was asked to take a swim test consisting of swimming out to the platform and climb up on the platform..no ladder or handholds to use to get yourself up (I was told that the ladder had fallen off and hadn't been replaced)..then jump in, tread water, and swim back...The only reason for the markdown in Cleanliness/Hospitality was the seeming indifference of the staff that I dealt with on the weekend. 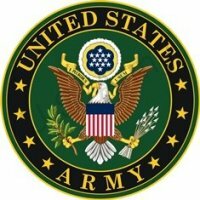 Great accessibility to New York and there are tours from West Point. Sizzors' review sums it up. Great place. we were in a 35' MH, towing. Others will question my 5's. 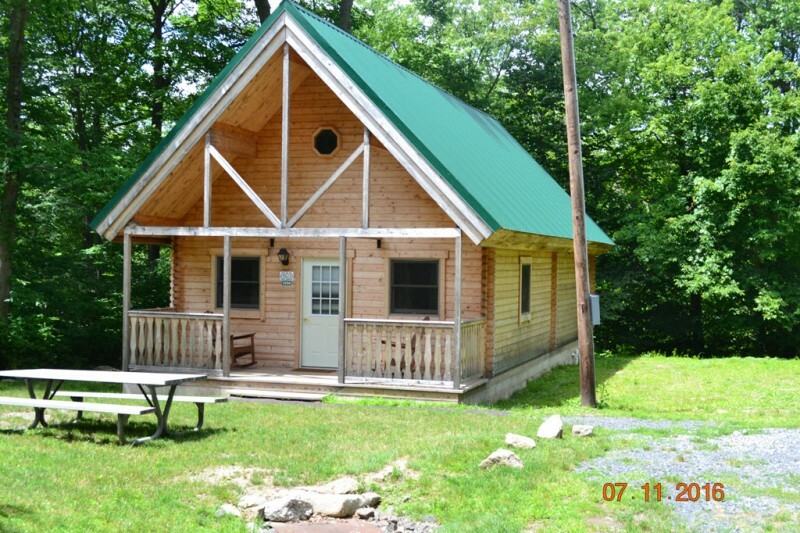 It means it exceeded my expectations and more (e.g., I knew there was not sewer or wifi). Staff was excellent. Beautiful surroundings. Easy access to NYC via the train. More washers would be nice but we had no trouble getting in and the park was probably at 80%. Don't fret the climb in. It's a wide paved road. I had 3 bar 4G Verizon at the site. We'll be back.